I’m at the Australian Centre for Independent Journalism’s ‘Justice Open and Shut’ Symposium at UTS Sydney today and will be writing this live blog of highlights from today’s speakers as the day unfolds. Drop in if you’re in the neighbourhood to Mary Anne House, Level 3, 645 Harris St, Ultimo, Sydney. The open justice system incorporates open reasons for decisions as well, says media law barrister and academic Miiko Kumar. 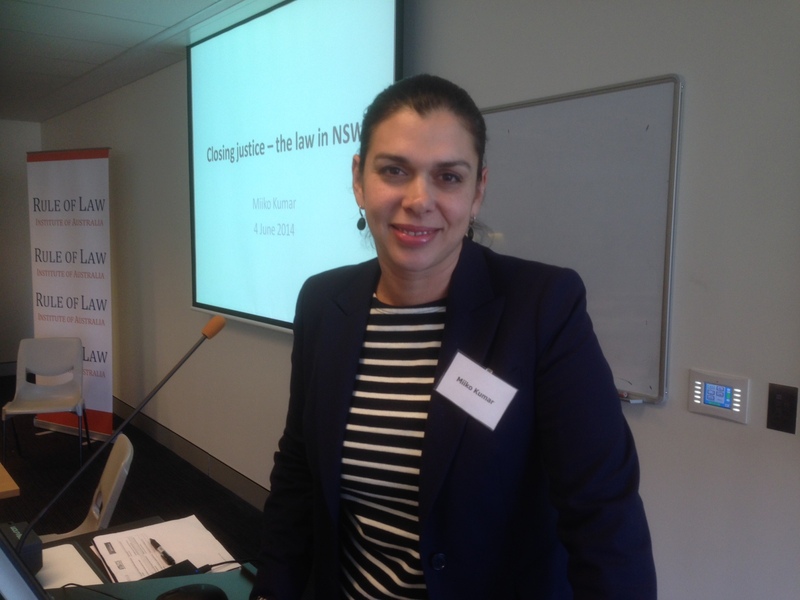 Open justice ensures justice is imparted fairly and openly, the senior lecturer in law at the University of Sydney told the Justice Open and Shut conference at UTS. Kumar said justice can be closed by excluding the public, restricting access to confidential information, non-publication orders, pseudonym orders, witnesses giving evidence via CCTV or from behind screens, and through the use of secret evidence. Secret evidence is where a party tenders evidence that the other parties do not see, but that is rare. Both the common law and key statutes give courts their power to suppress in NSW, including Court Suppression and Non-Publication Act 2010 and the Civil Procedure Act. Of course, other legislation exists for specific types of witnesses, such as the Children (Criminal Proceedings) Act 1987. She said the common law test for the issue of a suppression order was a ‘test of necessity’, not a balancing test. “It does not mean it is just convenient or to save someone embarrassment – that is not enough,” she said. A wide section of people have standing to apply for a suppression order in NSW, and it can be made at any time during a trial. The NSW legislation was tested in the recent Gina Rinehart case when she applied for a stay of proceedings along with a suppression order on the grounds that the confidentiality of the proceedings would be breached. The court was open but there was a non-publication order over the proceedings. [ Welker & Ors v. Rinehart  NSWSC 1094 (Brereton J) 13/9/11 … Appeal: Rinehart v. Welker & Ors  NSW CA (Tobias AJA) 31/10/11 … Appeal: Rinehart v. Welker  NSWA 403 (Bathurst CJ and MColl JA; Young JA) 19/12/11]. Suppression order was lifted in that final appeal. “The decision shows us that the court takes the administration of justice seriously,” she said. “The media was the one who objected to the order. It is important for the media to know when the orders are made because they are usually the ones who will object. Kumar also explained public interest immunity where a court determines a claim by having the document that is the subject of a claim and considering it in closed session. A study of non publication orders over a five year period in Victoria found that more than 1500 had been imposed across the state’s court system , according to the deputy director of the Centre for Media and Communications Law at the Melbourne Law School, Jason Bosland. Mr Bosland reported to the ‘Justice Open and Shut’ Symposium at UTS Sydney on his team’s research on the breakdown of legislative or common law powers under which the various courts imposed suppression orders. Some orders were made under the provisions of an act of parliament that did not even give the courts power to issue orders. About 70 per cent of all orders made by Victorian courts did not contain an end date or any other temporal limitation to bring them to an end. The Magistrates Court made 398 orders without a specified end date over the period. Only 128 orders revoked 202 suppression orders over the period. More than half of the suppression orders were ‘blanket orders’ – banning the whole of proceedings from publication – including about 80 per cent of non-publication orders in the state’s County Court. “There were real problems with ambiguity and breadth,” Mr Bosland told the conference. Many of the orders related to the revelation of the identity of a victim in circumstances where other legislation might already prohibit this publication. Mr Bosland has also been researching the suppression of judicial reasons. He found that in Western Australia 47 judgments of the Supreme Court and 17 of the Court of Appeal had been withheld from publication, with nine across the Supreme, appeal and district courts in NSW, and about 20 in Victoria. He further found a simple search of the terms “Judgment Suppressed” and “Judgment Restricted” into the database Austlii generated several pages of search results. The physical doors to UK courts are ‘open’, but virtual legal information is not, says UK researcher Judith Townend from City University London. The notion of open justice seems to stall at the online level. Very little can be systematically documented about what is happening in the courts, she said. For example, there is no systematic recording of data on the outcome of defamation claims. “It’s a given that we do want to have open access to the courts but there are particular challenges that need to be considered,” she said. She cited the recent development of a ‘right to be forgotten’ as an emerging issue standing in the way of open justice online, along with copyright, defamation, spent convictions and the tort of misuse of private information. She explained the proliferation of so-called ‘super injunctions’ in the UK from 2009-2011. 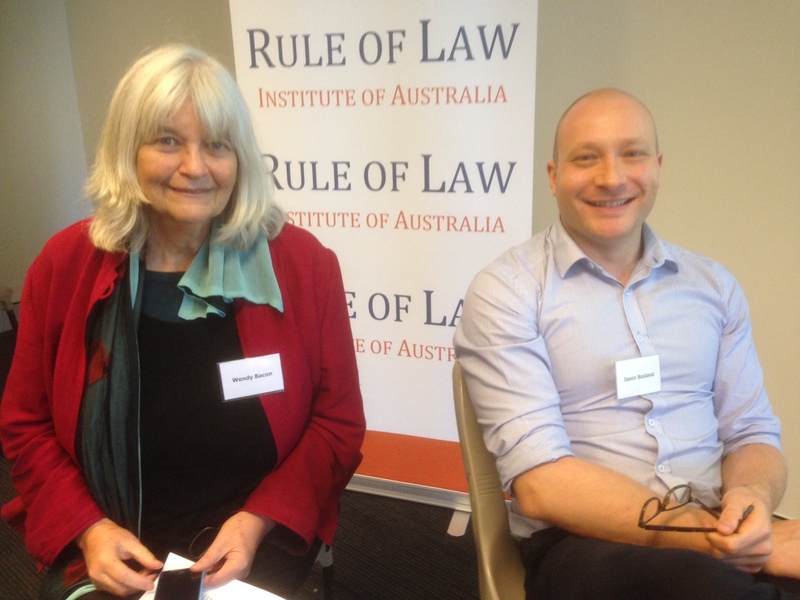 “Particularly worrying were the sorts of injunction where the fact that they existed could not even be reported – and these were the so-called ‘super injunctions’, Townend told the ‘Justice Open and Shut’ Symposium at UTS Sydney. Her research has been investigating the fate of a reporting restrictions database proposed in England and Wales in 2007. Despite a freedom of information request, she was unable to find out why it had not been implemented despite an effective simple operating in the Scottish jurisdiction. The Law Commission had found a simple system similar to the Scottish online list of orders in force would cost a government department no more than three to four hours of labour per month. It recommended such a system should be introduced, also specifying the details of the order. However, there was a “lack of momentum to carry the proposal forward”. She said the proposal raised questions of who should be able to access such a database, what it would cost for users, and longer term issues over the liability for breach of the orders on such a list (particularly if an order was left off the list). Townend drew parallels with proposals in Australia for a restricted access with full details of suppression orders. “The focus is very much on the media … but there is a broader question we need to make about public access,” she said. There are strong arguments for better data collation, she said. 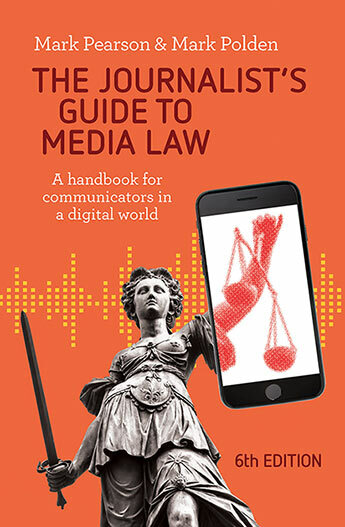 “Systematic recording of injunctions would allow media and academic scrutiny of orders in different courts – types, reasons and frequency,” Townend explained. Suppression orders should only be made as a last resort, not as a first resort, former Supreme Court justice and Victorian Law Reform Commission chair Philip Cummins told the ‘Justice Open and Shut’ Symposium at UTS Sydney today. Quoting Kafka, Bentham and several higher court judgements, Justice Cummins said in his keynote address ‘Open Courts: Who Guards the Guardians?’ that it was the essence of the judicial process that it was public. “The two functions of transparency of the justice system are that abuses may flourish undetected without it and it maintains the integrity of the courts. They are splendid principles often enunciated by the courts,” Justice Cummins said. “The courts, rightly, have traditionally resisted pressure to function in private. Sometimes that pressure is from high motives, sometimes base… but it is ever present and must be resisted. He cited sexual matters, terrorism trials and others involving safety of witnesses. “Those categories are justifiable … in individual cases the orders are not justified even though the category has been made out,” he said. He labelled the path of reasoning required of judges under legislation when called upon to grant a suppression order was ‘erroneous reasoning’. “It introduces a balancing of interests that should not be balanced – they are not equal,” he said. there was a lack of understanding of the integrity of the jury system. “We know that juries are robust. We know that they are living entities and that they see various things in the course of a trial,” he said. In some ways there was a judicial culture that worked against open justice. He said judges were usually supportive of open justice in principle – but sometimes until it came to the case at hand. “If the culture of the courts is erroneous then the appeal system is not the solution. My tipstaff once said to me ‘whoever discovered water, it wasn’t a fish’,” he said. But he rejected a suggestion by media lawyer Peter Bartlett that judges saw the media as a ‘nuisance’. Rather, Justice Cummins said, it was a question of priorities because their main goal was to ensure a fair trial. “I do think that the judiciary is concerted in applying itself to these sorts of issues. In my 22 years on the bench not once was I let down by the media,” he said. “Parliament has a significant role to play in advancing open justice,” he said. On the question of court public information officers, he said they had been very valuable and had not proven to be ‘second guessing’ the court as some naysayers had predicted before the role was introduced two decades ago. “I think a media officer can perform a very valuable function,” he said. 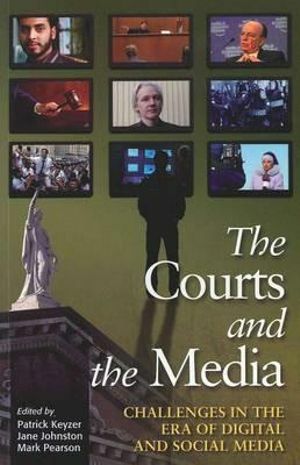 Justice Cummins agreed a ‘two speed’ system of coverage of major criminal trials had developed with the mainstream media more shackled because of its broader coverage. “With a lot of the technology that a lot of us have spoken about it is morphing into a new set of issues we have to be astute to,” he said. Media lawyer Peter Bartlett said that issue was not necessarily a new one. “Traditionally we have found that print media has been sued more often than radio or television,” he said. 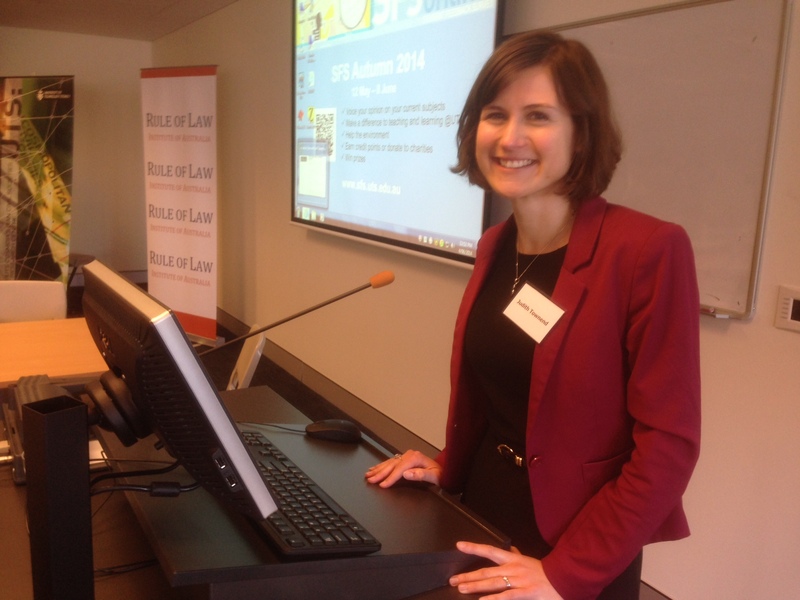 The increase in suppression orders during the gangland trials in Victoria had not diminished since the trials finished, Digital News Editor at the Herald-Sun Elissa Hunt told the ‘Justice Open and Shut’ Symposium at UTS Sydney today. 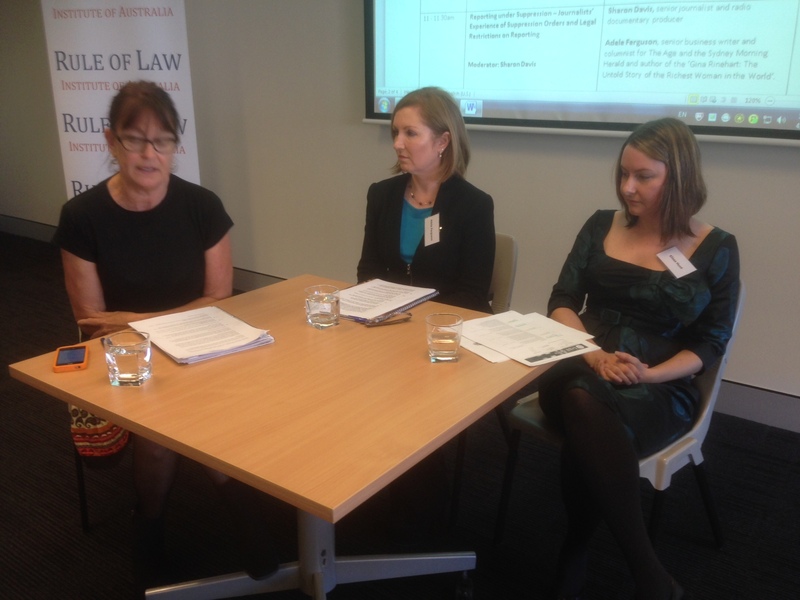 She was joined on a panel by Gina Rinehart biographer and Fairfax senior business writer Adele Ferguson (centre) who shared her courtroom experiences on reporting under suppression – and senior journalist and documentary producer Sharon Davis (left). 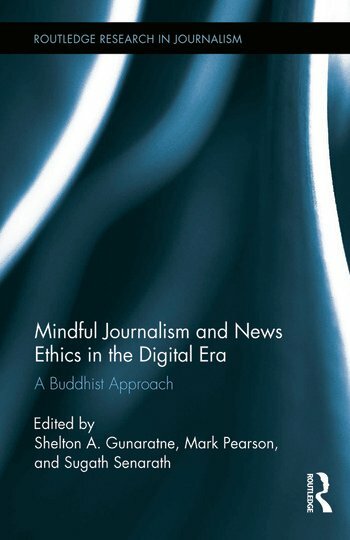 “We do write in different ways as journalists now and have to think on our feet all the time and update for the web,” Hunt said. “There’s not time to sit down with a lawyer and negotiate whether we can get away with this or that. “You just had to know what you could or couldn’t say. “Yesterday I did a dump of the suppression orders logged on our system this year and I counted 144. We’re on track for maybe 300 suppression orders this year. Ferguson said suppression orders take many forms. She cited the spent convictions provisions under the Crimes Act as an example of material that could not be published about a corporate regulation executive who had been in a partnership with a criminal history. She mentioned the Gina Rinehart subpoena order against her demanding her sources last year where Steve Pennells from the West Australian was also served. Rinehart eventually backed down. She had two other subpoenas year as well. Hunt explained the phenomenon of the ‘silent listing’ where courts would not reveal where a trial was being held, leaving reporters unable to engage lawyers to challenge the suppression. When she queried such a silent listing she was told it was a security issue. She showed the symposium a form where people could apply to have their listings made silent under a practice direction from the Victorian Chief Magistrate. Their outdated computer system meant courts could not use a pseudonym so the only way to keep their name off the list was the only mechanism to protect a witness. Photos of victims that had been published many times were also suppressed by Victorian courts, Hunt said. In one case such a suppression was applied to a photo of a baby who was a high profile crime victim so juries were not prejudiced. “I think it’s a worry we have so many judges who think the jury system is this fragile thing … our own judges don’t trust the system enough to let the jury do what they are meant to do,” she said. Ferguson agreed with Davis individuals are using the law more creatively to take advantage of the diminished resources of the major groups to challenge orders. “It’s really time consuming and it’s costly and I think without doubt you are seeing more subpoenas issued and more defamation,” she said. She explained the complicated process involved in extracting material from the digital world once a suppression order or take down order has been issued. 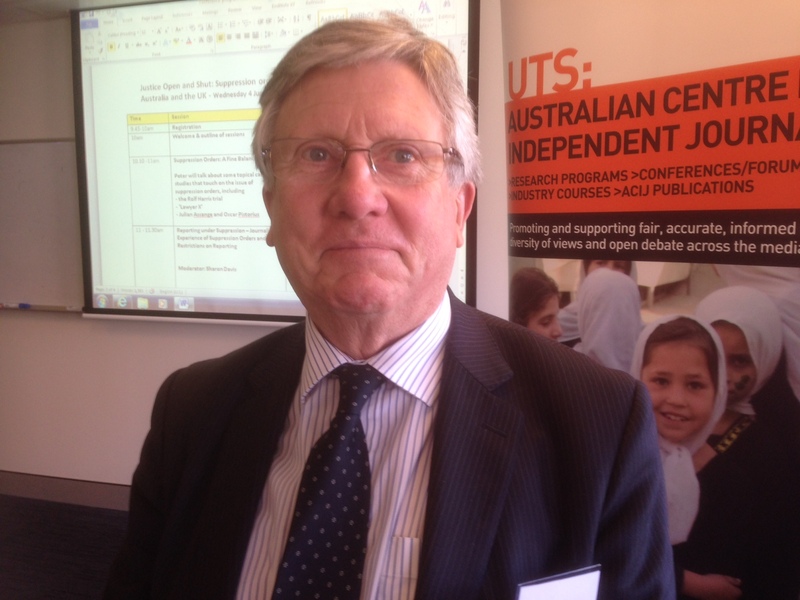 Dwindling media resources have impacted on free expression because news organisations do not have the resources to oppose as many suppression orders as they did previously, Minter Ellison Lawyers partner Peter Bartlett told the ‘Justice Open and Shut’ Symposium at UTS Sydney today. “It does not happen as much as it used to because the rivers of gold have evaporated,” he said. Because the media is not there to oppose applications for suppression orders there was a risk more and more will be issued that go further than they should go. Mr Bartlett is speaking on ‘Suppression Orders: A Fine Balance”, where he is examining topical case studies including The Rolf Harris trial, ‘Lawyer X’, Julian Assange and Oscar Pistorius. Judges will say open justice is an important principle ‘but’ … and that ‘but’ is the problem, he said. It is a difficult task for the judge in balancing the right to a fair trial and the right to free expression. 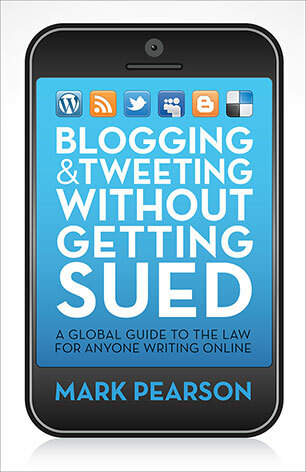 “There is no doubt that where there is a clash the right to a fair trial should take precedence. He commended recent Victorian legislation giving the media a right to appear to oppose suppression orders and making it clear there should be an end date to suppression orders. Previously it was difficult getting older suppression orders lifted because all the parties had to be found and brought to court. However, some recent suppression orders had been issued without the recommended end dates, he said. He said there were at least four or five suppression orders issued each day in Victoria. He was receiving many applications to take down historical articles because of their potential effect on a trial. He noted the seeking of urgent injunctions by high profile wealthy individuals and linked this to the ‘reasonableness’ test for defamation defences which requires defendants to have sought a reply from the plaintiff prior to publication. Three times in the past 18 months he had experienced injunctions being sought after an approach by a journalist to get a comment from a high profile individual about allegations against them. This had sometimes led to long delays, including one example of a judge ordering a story be held from December until the next May so the matter could be tried. He criticised the assumption of some judges that any media coverage would lead to an unfair trial. He suggested the orders made against the Underbelly program in Victoria were futile because people found other means of access. The Rolf Harris trial raised interesting issues where Australian newspapers could cover the trial which was suppressed in the UK but not put it on their websites. Fairfax newspapers included a warning to others not to publish the material online. The stories ran without a byline to avoid difficulties for the reporter sitting in the London court covering the trial. Dr Tom Morton and I are speaking about progress with our research project on a forensic mental health patient we called ‘The Man Without A Name” because of restrictions on identifying people involved in NSW Mental Health Tribunal proceedings. Section 162 Mental Health Act (NSW) bans ID of anyone involved in either tribunal or forensic proceedings, with further requirements under the Mental Health (Forensic Provisions) Act. A breach can incur a fine of $5500 or a 12 month jail term. See my earlier blog on this and Tom’s Background Briefing piece by the same name for Radio National.